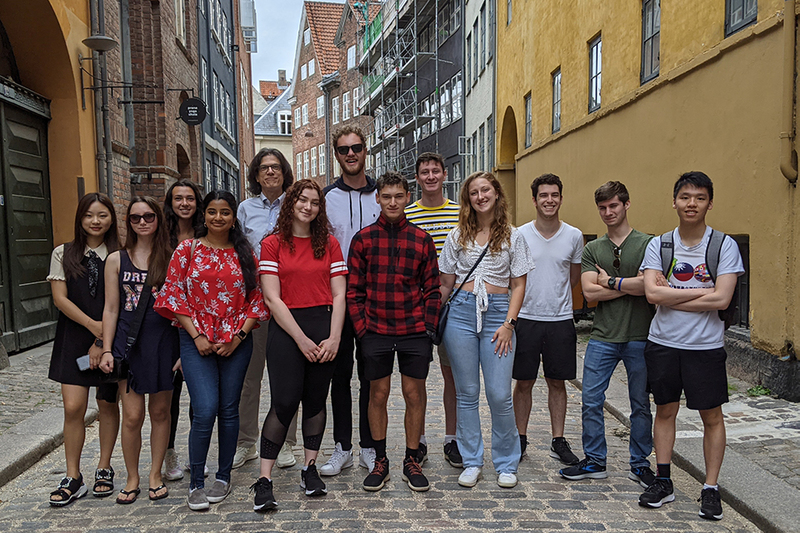 The Brandeis in Copenhagen program is an intensive summer program in which students can enroll in two out of three econocmics and /or business courses. The program is a culturally immersive, experiential learning experience where you will come in direct contact with case studies and current issues in Scandinavian Europe. You will study busines practices, core economic theory and applications in the classroom, listen to speakers on European policy issues and visit places of economic interest, such as businesses, markets, and government institutions. Integration between the courses and the field trips will provide a holistic understanding of economic and business issues in Scandinavian Europe. The program is located in the heart of medieval Copenhagen. On the way to class, you will navigate through a network of walking streets, and after class you will explore squares packed with outdoor cafes, canals lined with cobblestones and colorful facades, castles surrounded by public gardens, and twisting spires dotting the skyline. You will find hidden corners of the city designed for community use, from bike paths to skate parks to harbor baths. All students will also learn the basics of the Danish language. The program is a collaborative partnership between Brandeis University and DIS Copenhagen, a non-profit study abroad institution established in 1959. The program consists of two courses taught in English – an intermediate-level core course taught by a Brandeis faculty member and an elective taught by a local faculty member from DIS Copenhagen. 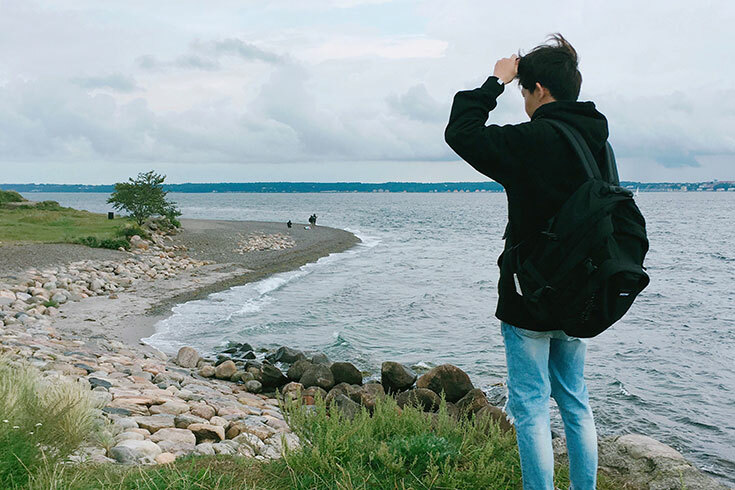 During his stay in Copenhagen, Joon had a great time getting to meet new friends and travel to Arhuus and the Carlsberg factory. While taking a behavior economics class with fellow Brandeis students, he learned to conduct experiments both in and outside of the classroom, and was able to get help from the Brandeis professor and students.